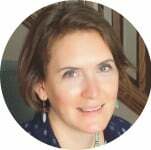 As a new mother nearly two decades ago, I started dabbling with the idea of writing children’s books about my ancestors’ lives so my children could learn the stories in an age appropriate way. I wrote out several of the stories and then attempted, in my artistically challenged way, to sketch some illustrations to go with the text. The books were never finished because I figured, how enticing is a children’s book without lovely illustrations to go with the story? 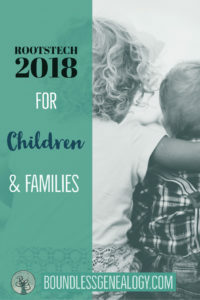 That is why I am excited to see more and more children’s family history book vendors. This time at RootsTech, I was introduced to the Tell Me Their Stories company. One thing I really appreciated about this book company is that they help you tell your ancestor’s story in a child friendly way and they provide the custom illustrations, but the end of the book includes the full story and actual photos and can even include a family tree chart. Including these items at the end of the children’s book makes the book very valuable as a family heirloom and great way to pass down the history from generation to generation. As with all custom book companies, the price is better the more books you buy. Tell Me Their Stories also has an option for a very durable board book instead of a paper book. Check out their website for samples and details. During Dr. Henry Louis Gates, Jr.’s keynote address at RootsTech, he spoke on several topics, including how he became interested in his genealogy, and the path that led him to host the popular TV series Finding Your Roots. But, the part that peaked my interest the most was when he mentioned that he and several other colleagues are developing a curriculum for middle-school-aged students to teach them about, and involve them in a study of their heritage through records and DNA. This curriculum is being tried and shown through a video series: Finding Your Roots: The Seedlings available online. When I shared my enthusiasm for the development of this curriculum on social media, others expressed concern about how this would work for adopted children, or children in other complicated family situations. Indeed, there will be many family situations which require sensitive and ethical considerations. However, I also believe there is a way for every child to connect with their heritage in a way that feels appropriate for them. 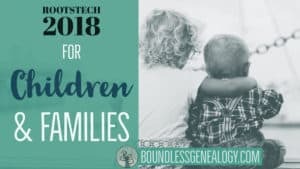 Whether they trace their biological lines, their adoptive lines, use DNA results to find blood relations, or just an ethnic estimate, there will be a way for each child to connect with their roots. I believe it is worth offering that foundation to children through this curriculum, even if there are challenges that must be addressed in a caring and individual way. Watch the entire keynote address from Dr. Henry Louis Gates, Jr. here. Watch the children’s series, Finding Your Roots: The Seedlings, here. 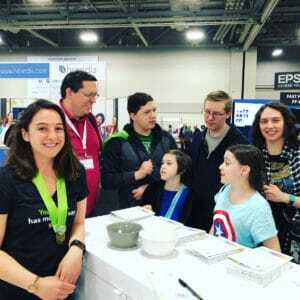 While passing the 23 and Me booth at RootsTech, our family had the chance to take a PTC test to see if the particular gene that can detect that compound was recessive, or dominant. It turns out dad couldn’t taste the PTC at all (recessive) and mom (me) was a super taster (totally dominant and totally gross!). The kids were a mix, they could taste it, but to varying degrees from very mild to pretty strong. 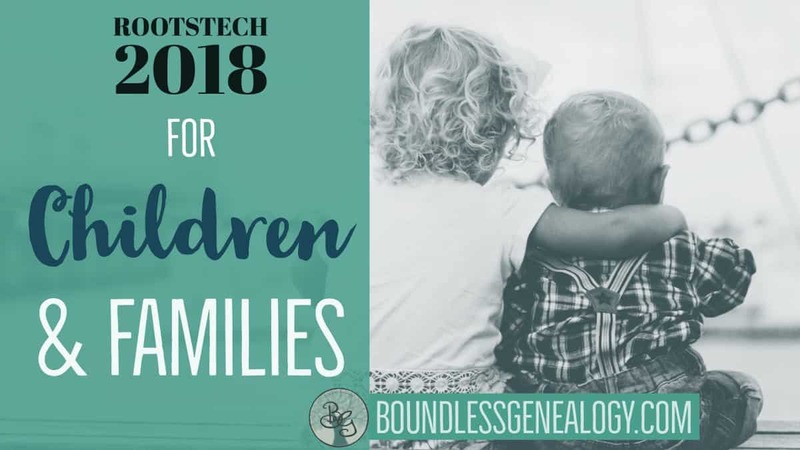 It was an interesting experiment that sparked a conversation about our DNA and what we get from mom and dad and through the generations of our family tree. Though we have been focusing on DNA testing for the older generations of our families, this activity made our younger generation curious about what their DNA could tell them about their heritage. This genealogy-themed BYUtv show just started its 3rd season. Our family has been watching from the beginning, and the kids won’t let us miss an episode! While this has nothing to do with our direct ancestry, we all enjoy watching the contestants on the show make meaningful connections with long-lost, or previously unknown family members. I think it reminds us that humans have a deep need to belong and to feel connected to family. For our children, it also makes them curious about who else is out there in the world that we are related to through a common ancestor that we haven’t met yet. 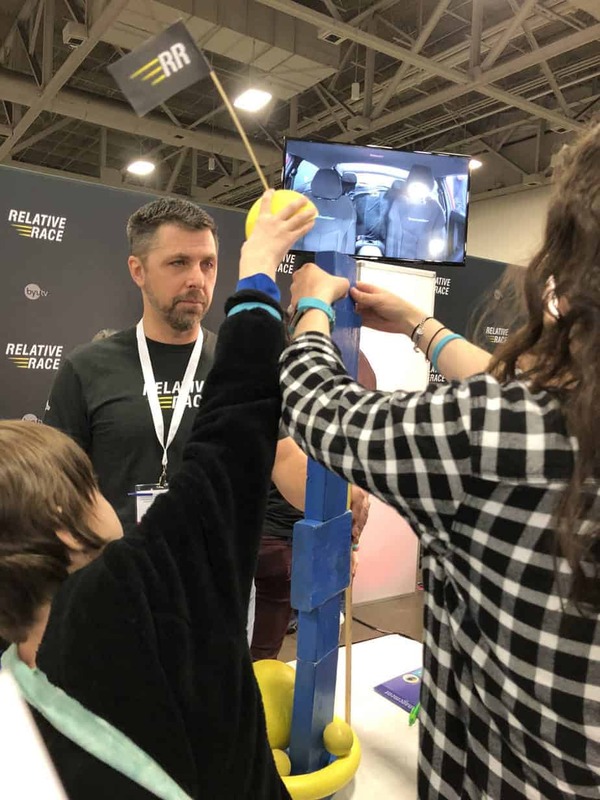 At RootsTech, the children had the opportunity to try one of the challenge games the teams did in the first episode of this season. They worked well together and completed the challenge quickly. If you want an easy way to introduce your family members to family history, watch this show together! The Oaks shared a wonderful activity they enjoyed with their children and grandchildren recently. They chose several stories from their family history that showed good qualities their ancestor’s demonstrated during their lives. The Oaks created large charts with the name of the attribute at the top. They invited family members to write their name under the attribute they have or would like to develop. Then, each chart was turned over to reveal the photo(s) of the ancestor(s) who demonstrated that attribute and the story about them. Every child loves to emulate a hero. What better hero to emulate that one of their own ancestors? 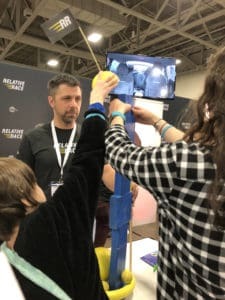 I really enjoyed learning about this activity and plan to do this with my family. The demonstration of this activity begins at minute mark 14:05 on the Oaks’ recorded session. See the entire session given by the Oaks here. family history for children, RootsTech. Bookmark.